Immigrant advocates in New Mexico attribute the surge they’ve seen in applications for citizenship over the past year to the wish to vote in the coming election. This, they observe, may be motivated in part by a combination of years of record deportations under the Obama administration, Donald Trump’s anti-immigrant rhetoric, and the stepped-up citizenship and voter registration drives they themselves have been running. Citizenship applications made to the Albuquerque U.S. 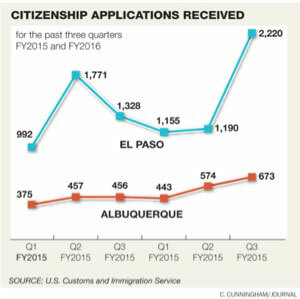 Citizenship and Immigration Services office climbed 48 percent in the third quarter of fiscal 2016, and at the El Paso USCIS office, there was a steep 67 percent rise. Unfortunately, the backlog of those citizenship applications nearly doubled as well. 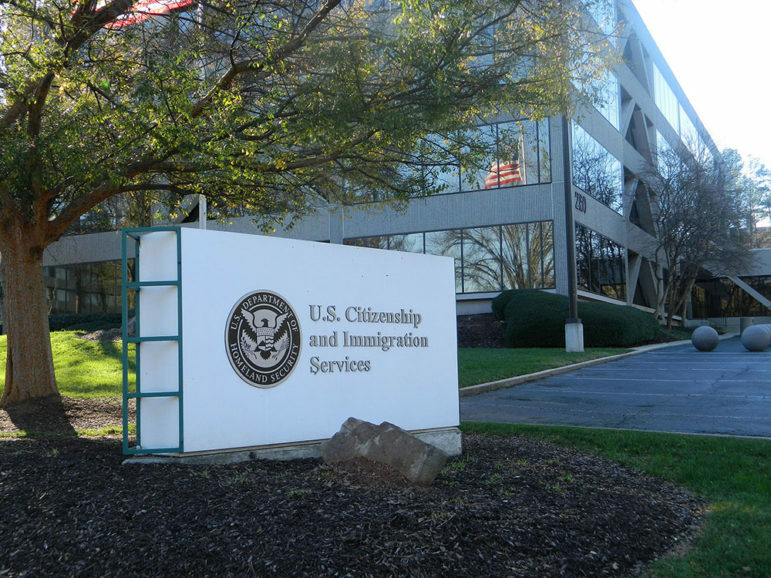 Nationally, the number of citizenship applications is up 14 percent so far this fiscal year and the number of applications has grown steadily over three years. In southern New Mexico, Fernando Garcia, the executive director for the Border Network for Human Rights, says a corner has been turned. We were facing a number of challenges. Some of these families did not trust the political system because they come from places like Mexico where the system is essentially broken. Once they got legal status or became residents, they didn’t do the effort of becoming citizens because they didn’t see the benefit. But that changed last year. Six high school students in Portland, Oregon decided to use their knowledge of U.S. government to form a citizenship education program. After eight years, Mission: Citizen is getting some impressive results.